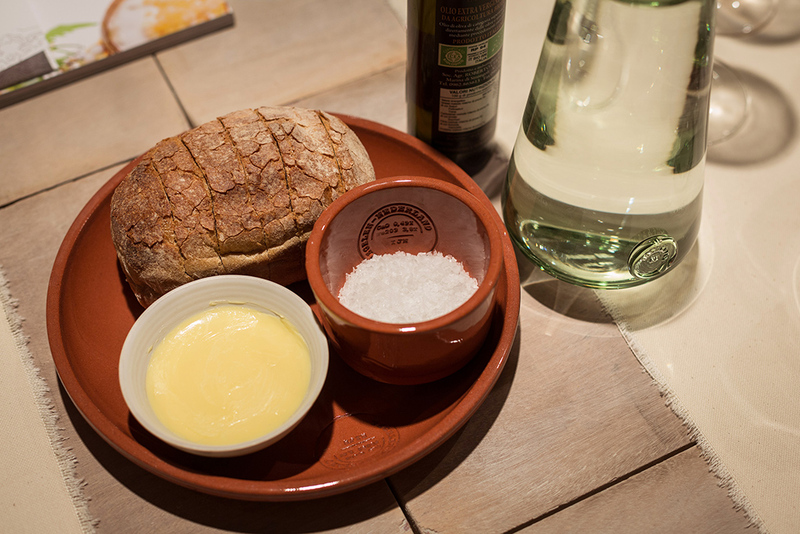 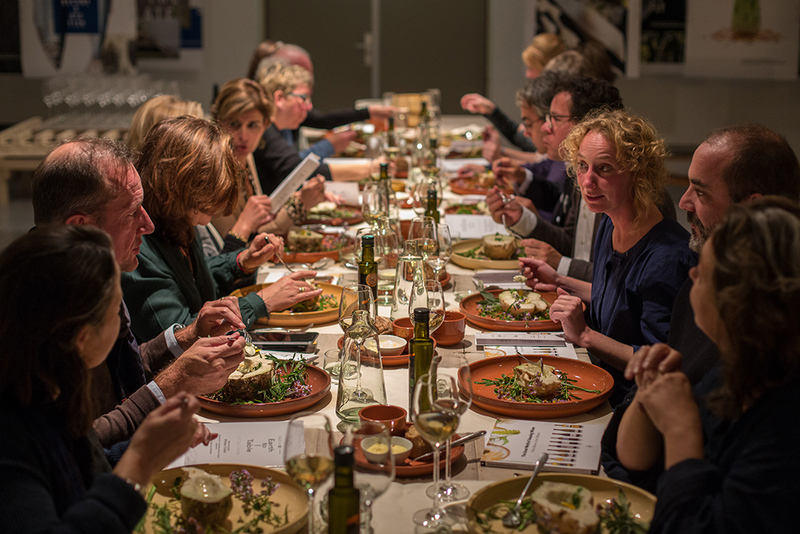 Dutch food – Dutch land – Dutch design. 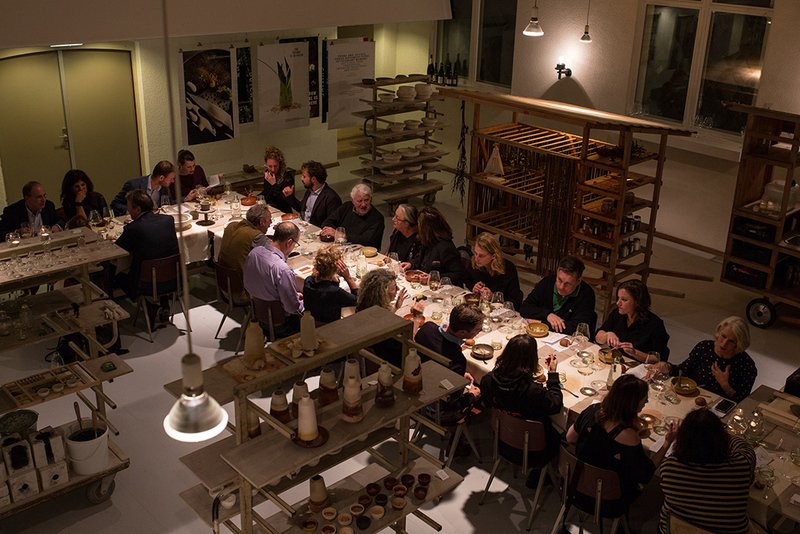 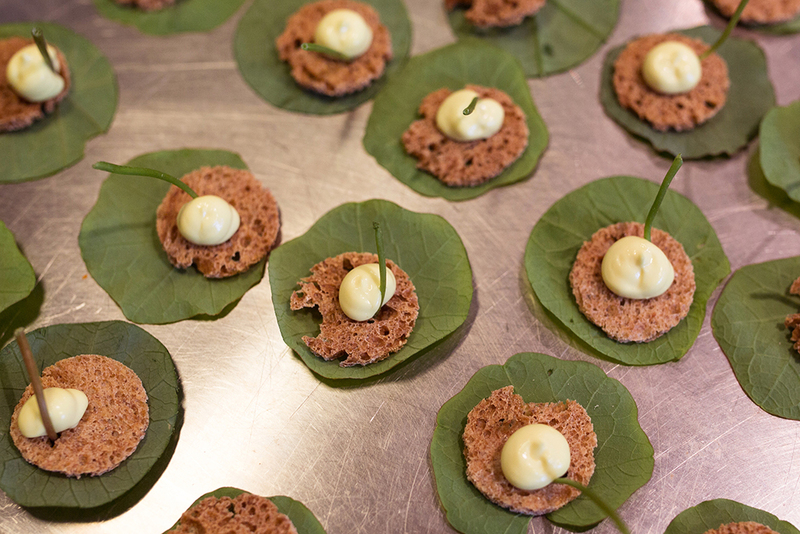 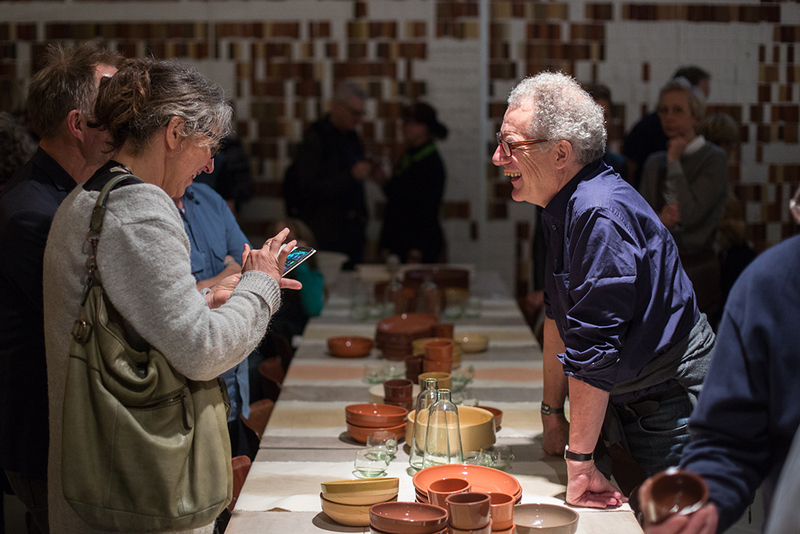 Atelier NL & Dutch Cuisine invited attendees of this year’s Dutch Design Week to a series of curated dining events that brought the land to the table in a celebration of Dutch soil and identity. 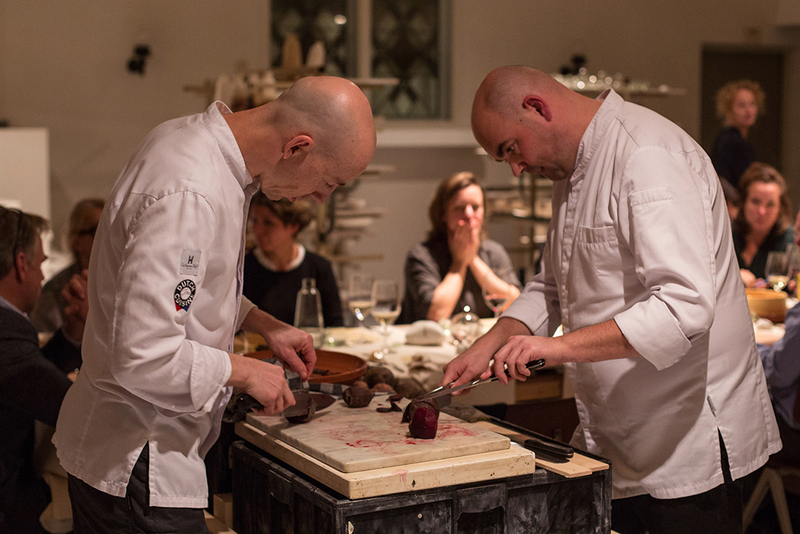 Dutch Cuisine top chefs Luc Kusters, Jef Schuur, and Peter Gast composed signature dishes especially for the event to inspire a new appreciation for Dutch food, land and identity. 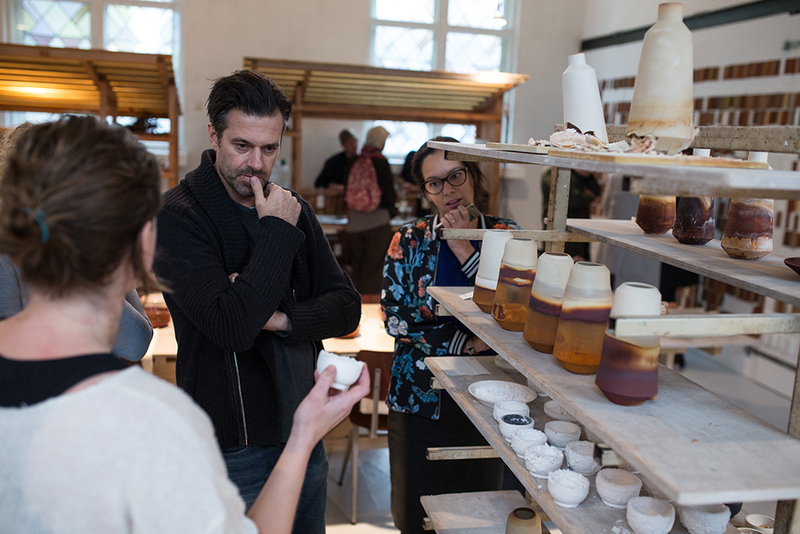 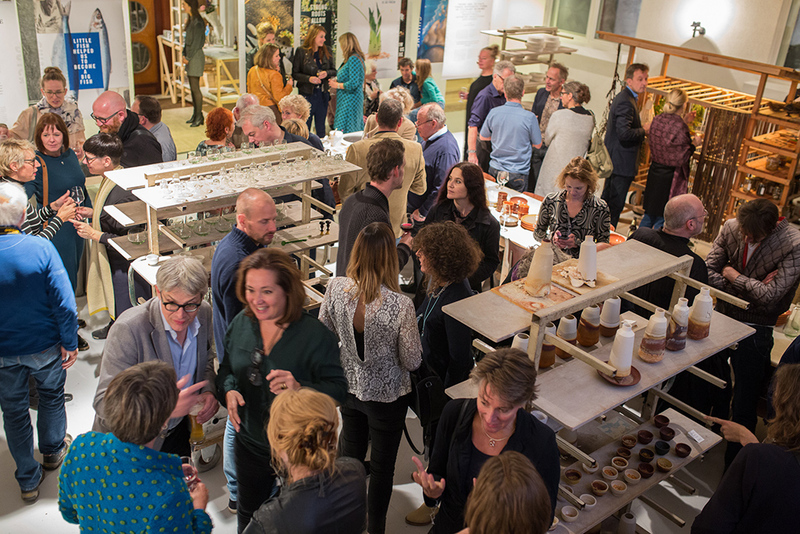 ‘Earth to Table’ coincided with the release of Atelier NL’s new SandGlass collection – glassware created from local sands – and their first Clay Service edition produced in-house at the Earth Alchemy Factory. 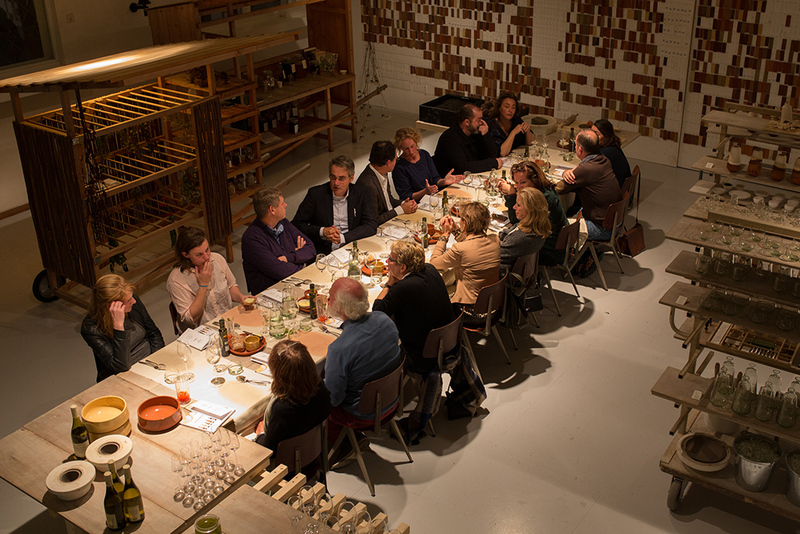 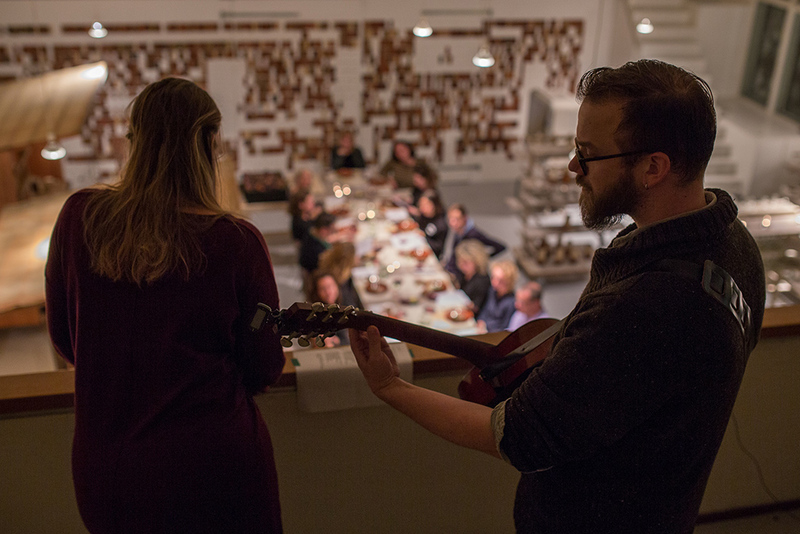 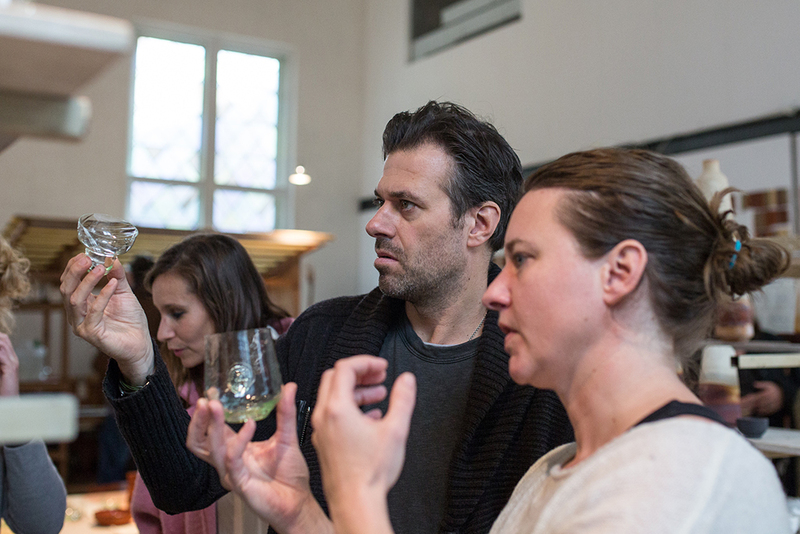 ‘Soil Soiree’ evenings featured theatrical narration and exquisite dining in the heart of Atelier NL’s repurposed church. 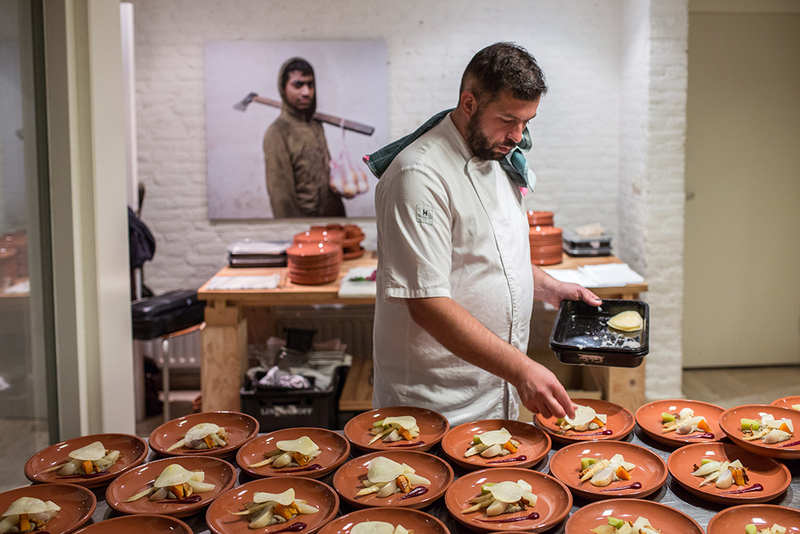 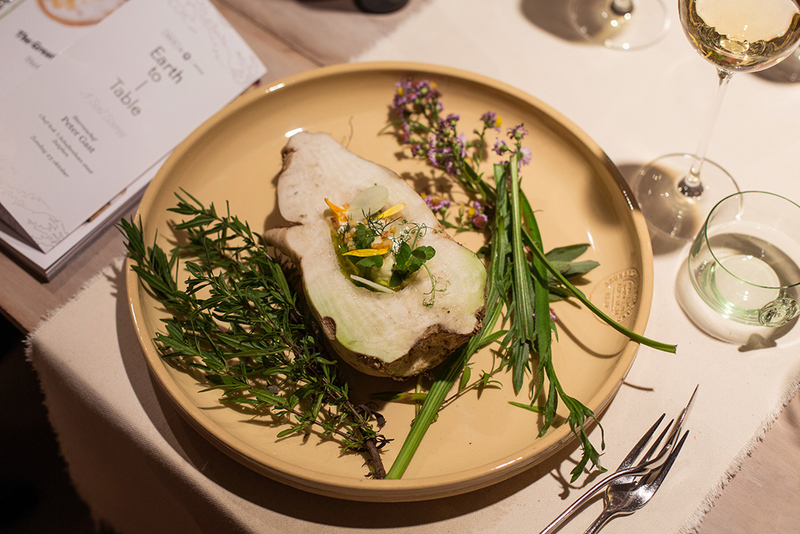 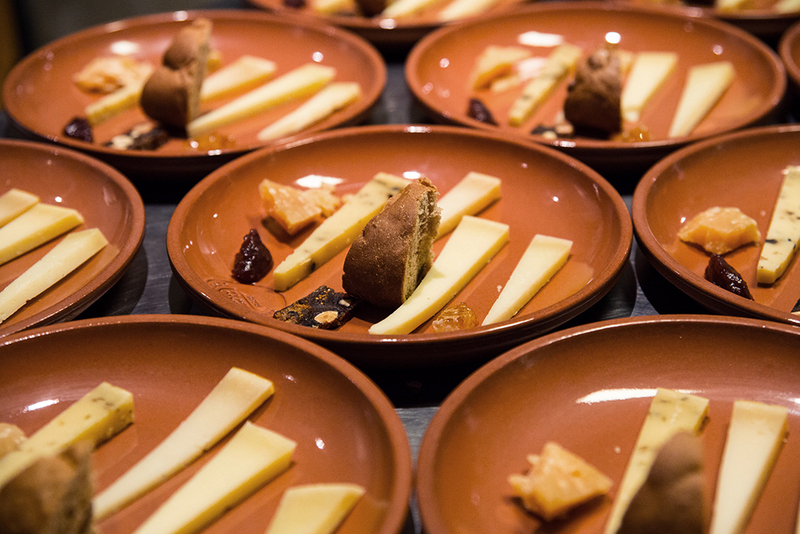 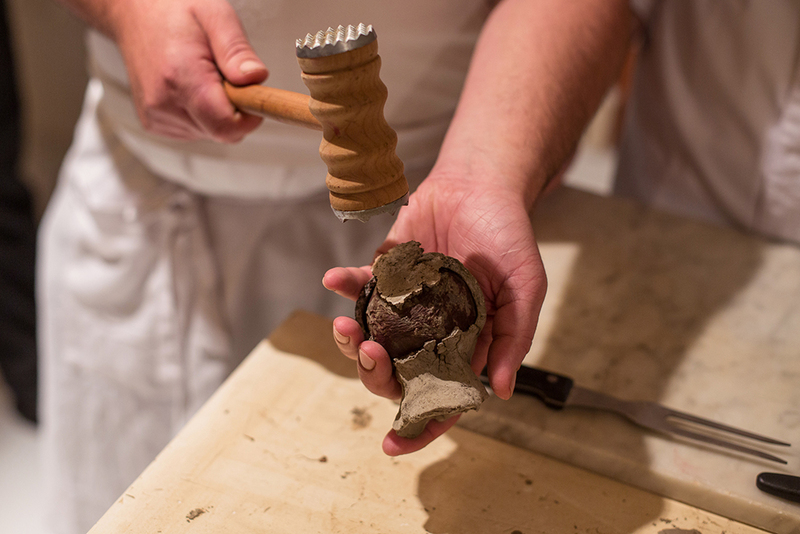 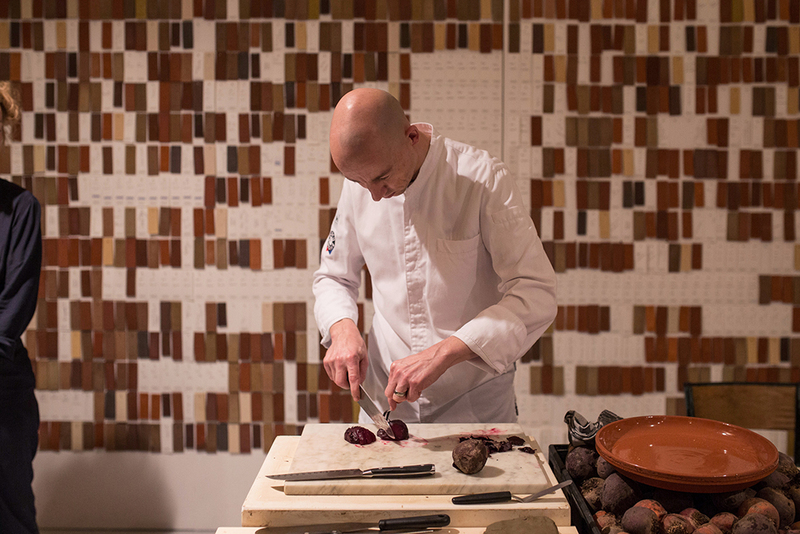 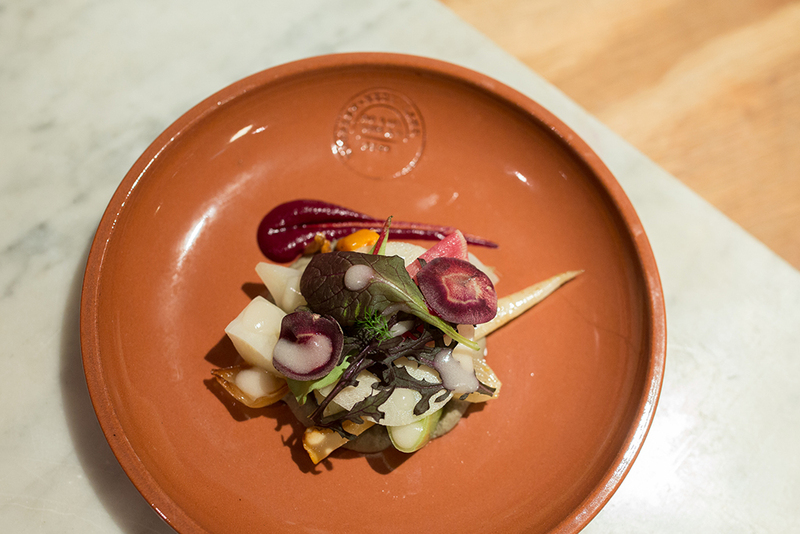 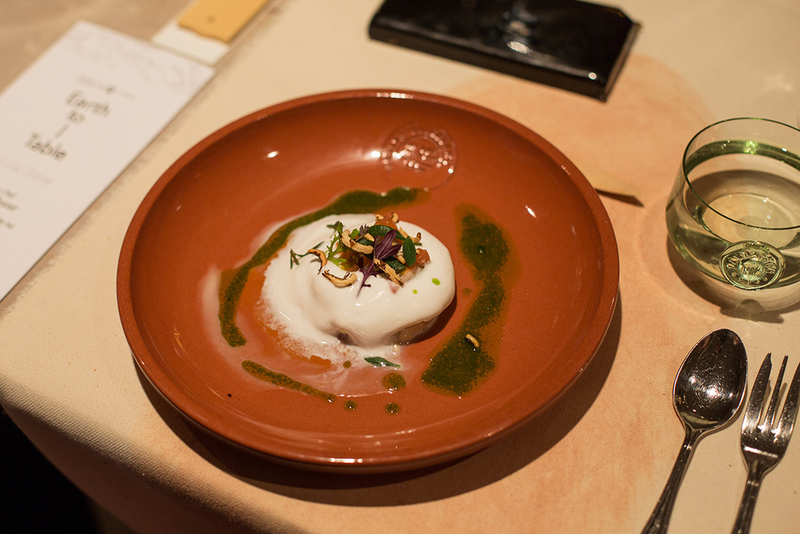 Signature dishes by Dutch Cuisine top chefs were vibrantly plated and accompanied by the aroma of raw earthenware and seasonal roasting root vegetables encased in clay. 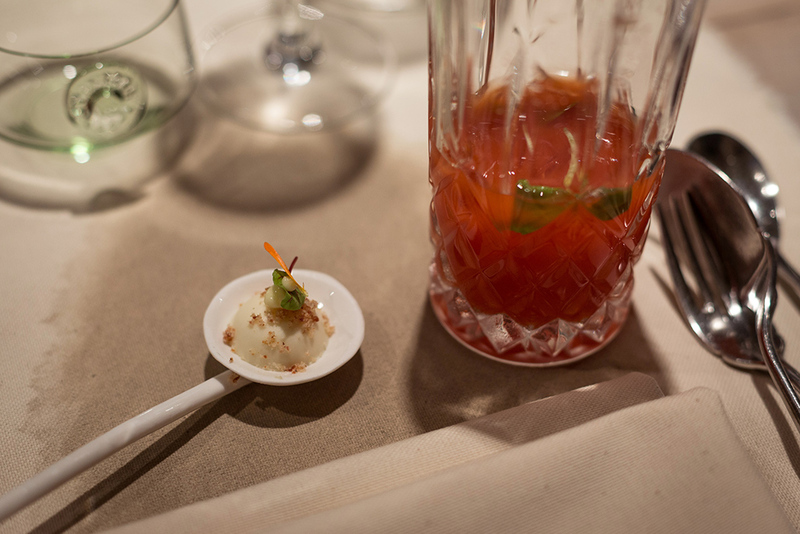 Wildcrafted drinks made from plants gathered by Onkruidenier gave the night a verdant edge. 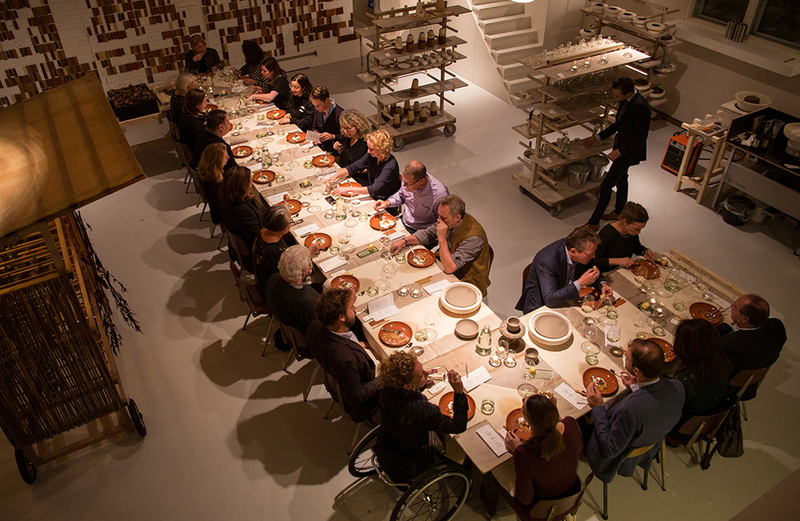 Diners and designers dug into the roots of Dutch Cuisine, enriching the soil that sustains us via tales of land and waters, culinary craft, farmer life, clay harvesting and wild plant collection.